Providing customer-focused network insights across virtual and hybrid networks, offering operators the ability to understand the customers’ real-life experience across multiple services such as streaming video, voice and VoLTE, and web browsing. 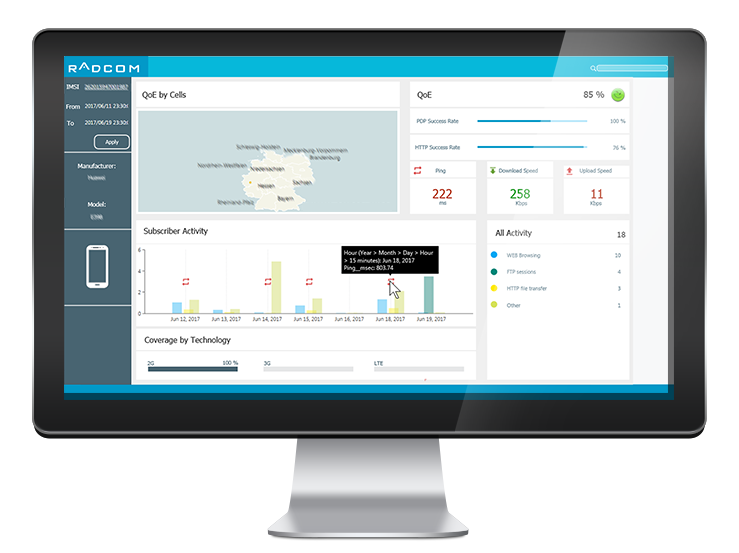 RADCOM Network Insights provide operators with customer, service, network and device insights for NOC/SOC, engineering, operations, marketing, customer care, and management. They enable operators to deliver high service quality and delight their subscribers with a customer experience that stands out from competitors.